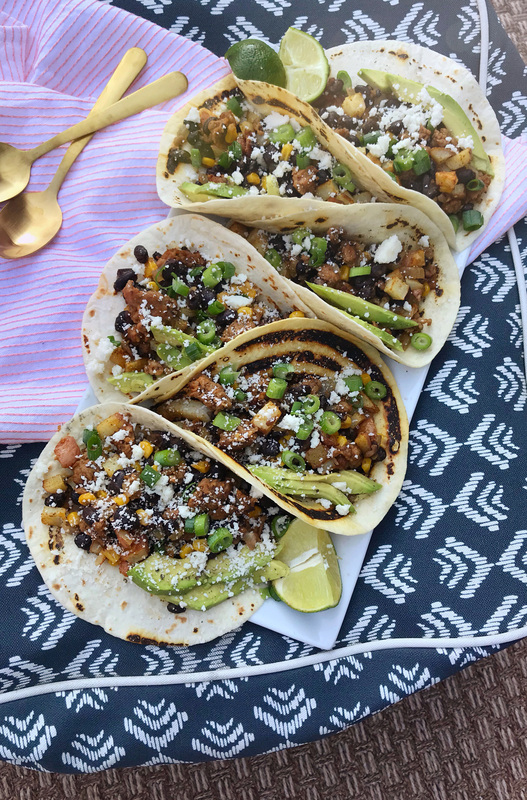 Black Bean, Potato, Chorizo Tacos. Dice red potatoes into ¼” cubed pieces and toss on a rimmed baking sheet with 1 Tbsp. of olive oil and ¼ tsp. each of onion powder, garlic powder, cumin, chili powder, and season lightly with salt and pepper. Bake in oven for 15 minutes until crispy. While potatoes are cooking, heat remaining tablespoon of olive oil in a large skillet and brown chorizo with onions and garlic. Once chorizo is cooked through and the onions have softened, add black beans and ½ tsp. each of onion powder, garlic powder, cumin, and chili powder. Finally, add in corn and lime juice and heat mixture through. 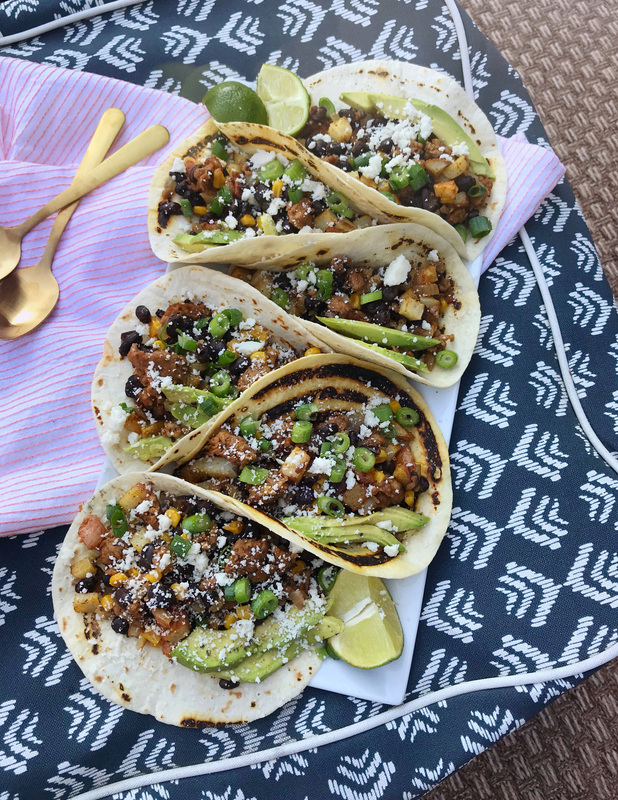 Fill warm tortillas with a heaping scoop of the crispy potatoes, and another large scoop of the chorizo and black bean mixture. Top with grated queso fresco, avocado slices, diced red onion and scallions, and more fresh lime if desired. Sun-dried Tomato Chickpea Crostini. 15 Favorite Cookbooks for Dinner Inspiration.